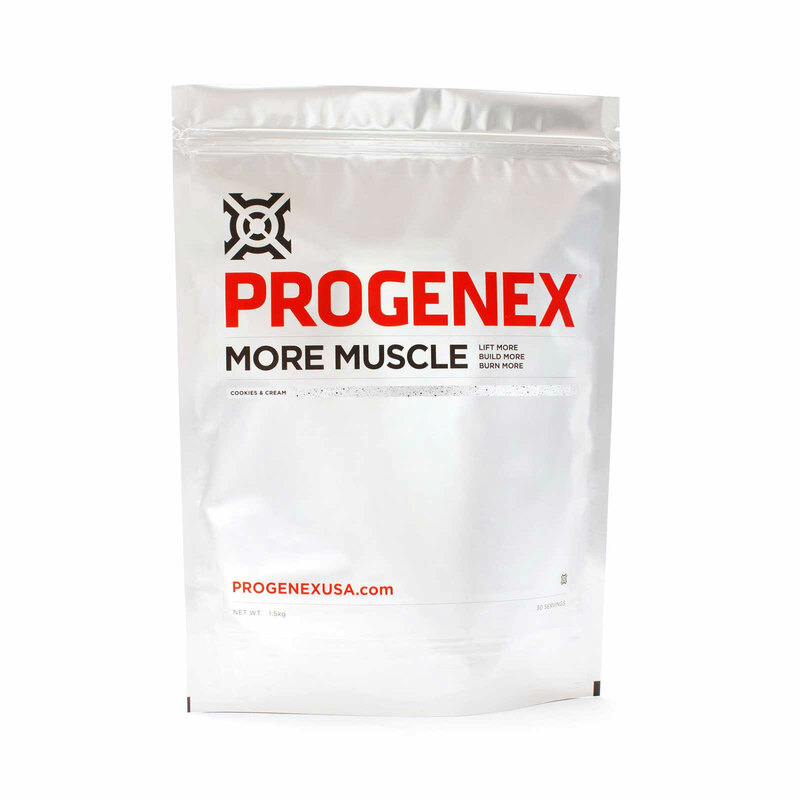 PROGENEX More Muscle contains “More” of everything you need to build “Muscle” so that you can “Lift More. Build More. Burn More” throughout your day, and achieve your best body composition ever! 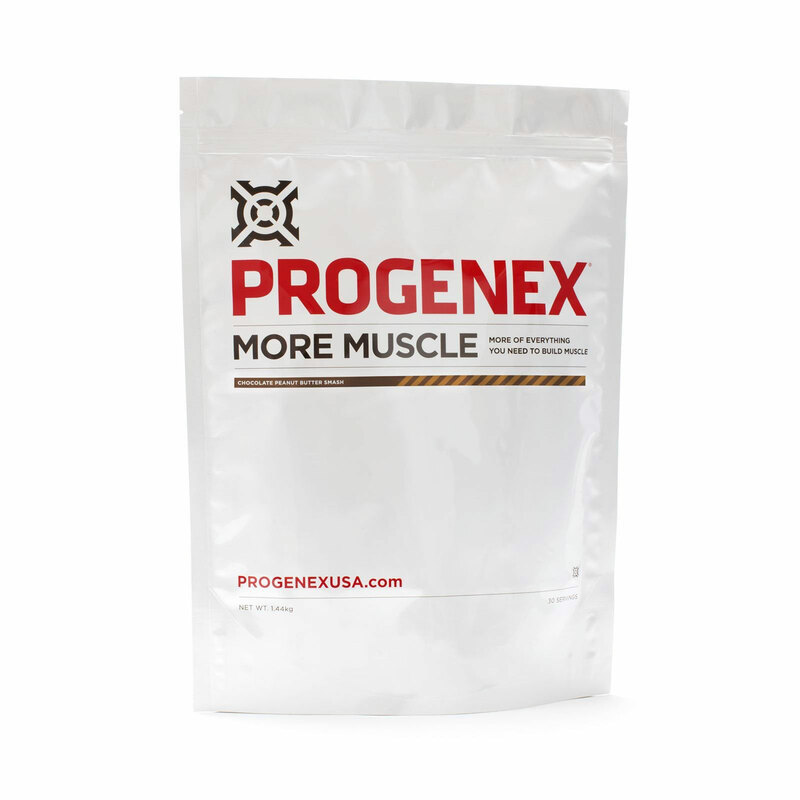 PROGENEX More Muscle features a full 20 percent more BCAAs and leucine than regular whey protein isolate. The precise amount of BCAAs added to PROGENEX More Muscle were carefully calibrated, as the leucine content of whole proteins is directly related to how much protein your body will integrate into muscle. 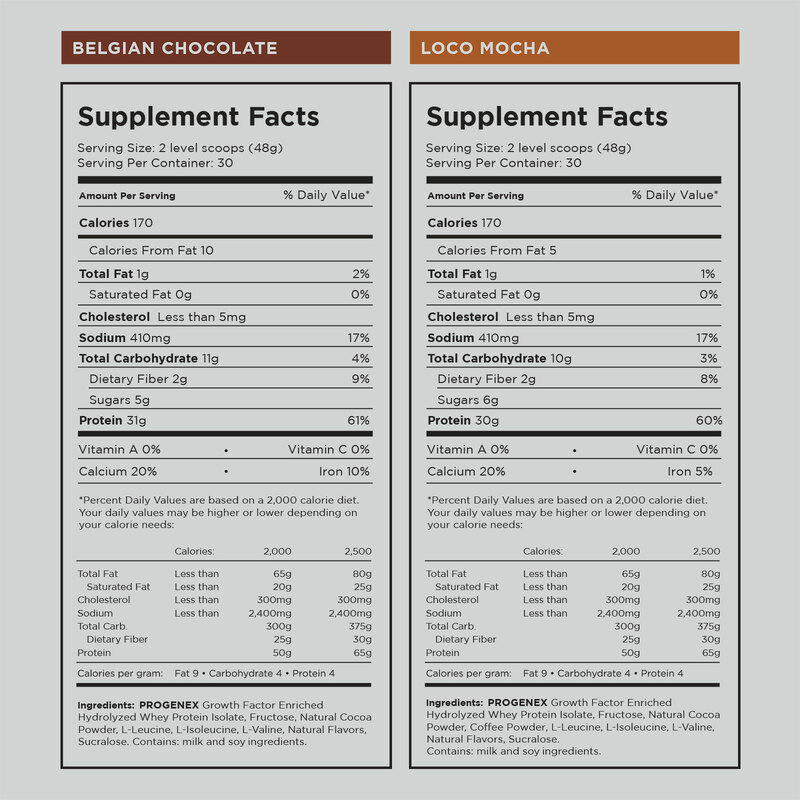 This synergistic combination cannot be replicated by simply adding extra leucine to a whey protein isolate or any other form of protein. When it comes to increasing energy, speeding recovery, stimulating muscle building and achieving your best body composition ever, PROGENEX More Muscle delivers MORE of everything you need! 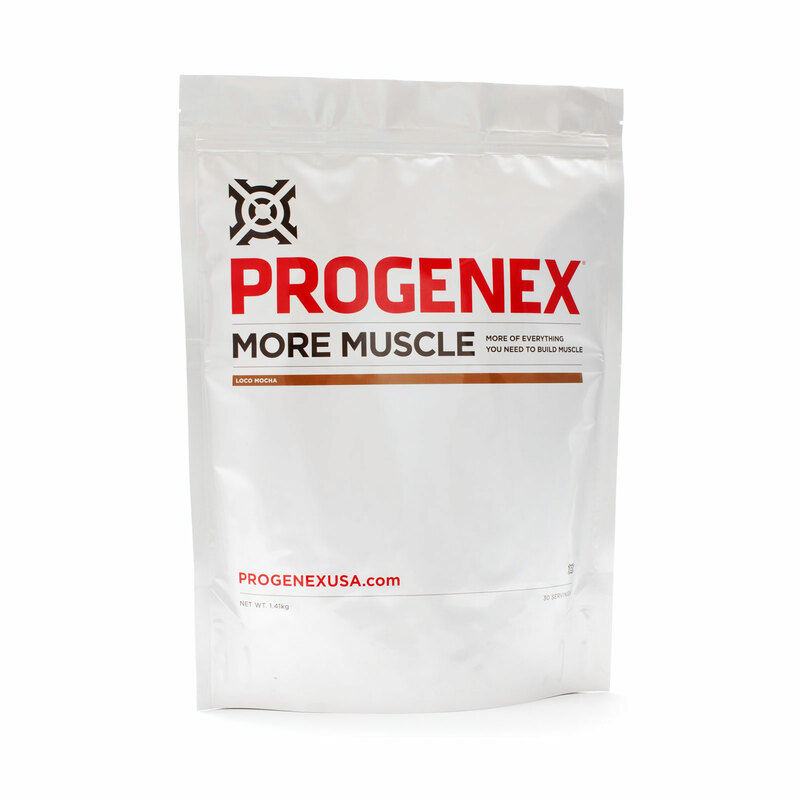 Train More: PROGENEX More Muscle targets Type II muscle fibers for significant size and strength gains. 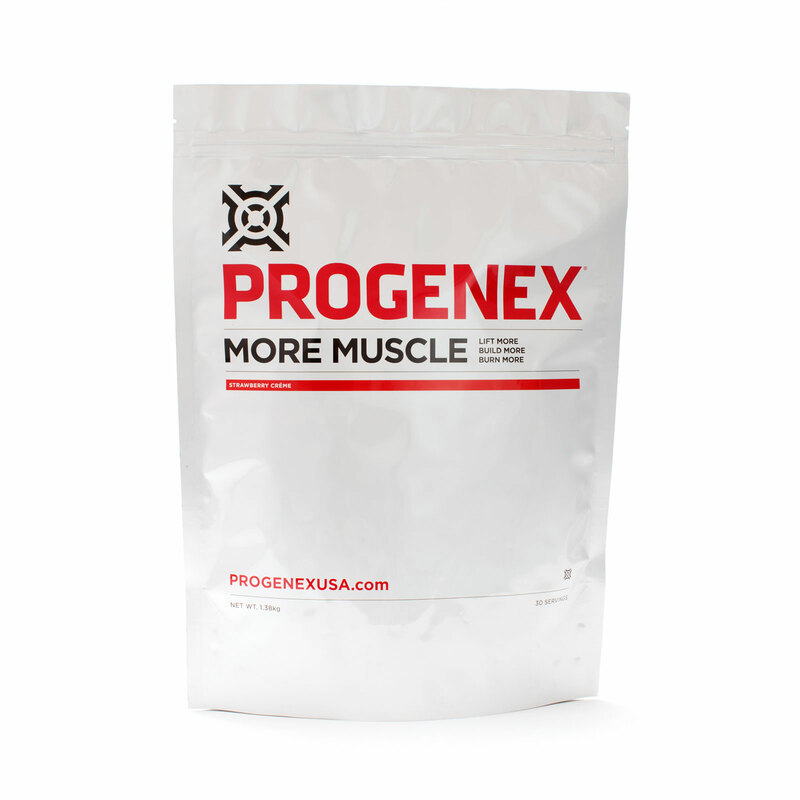 Build More: PROGENEX More Muscle feeds muscle, not fat, helping you achieve your best body composition ever! 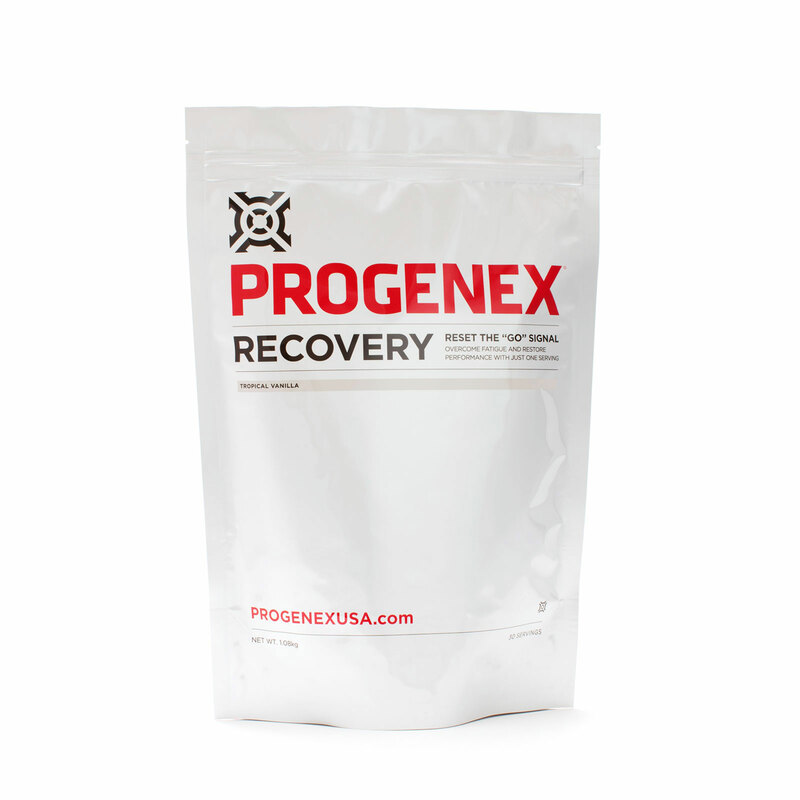 Burn More: PROGENEX More Muscle helps up your metabolic rate so that you burn more energy, even after training. 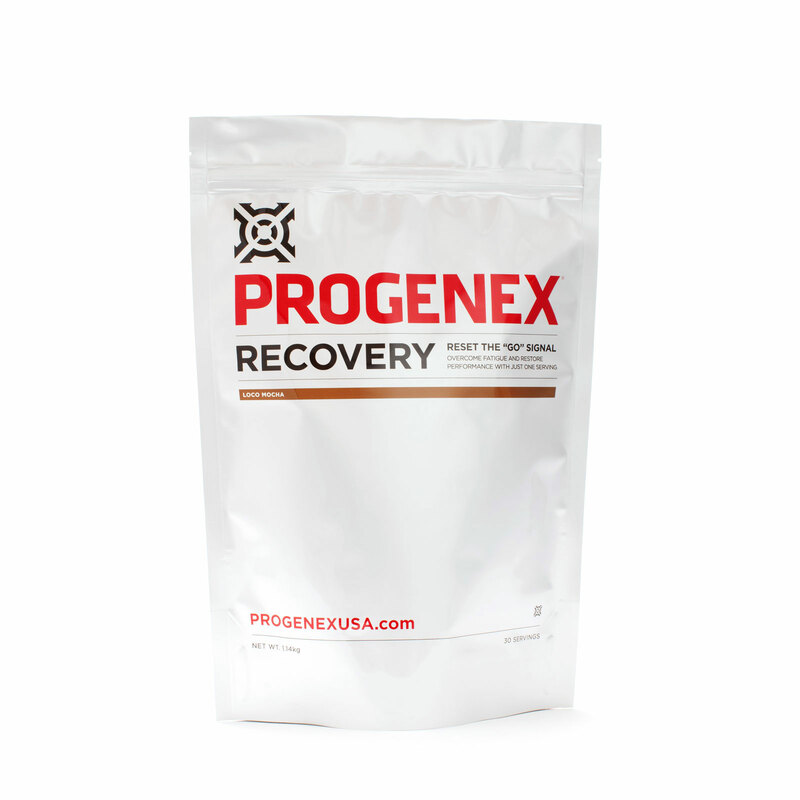 Once you are totally covered when it comes to PROGENEX Recovery, it’s time to turn your focus to turning your body into one lean, mean, muscle machine. 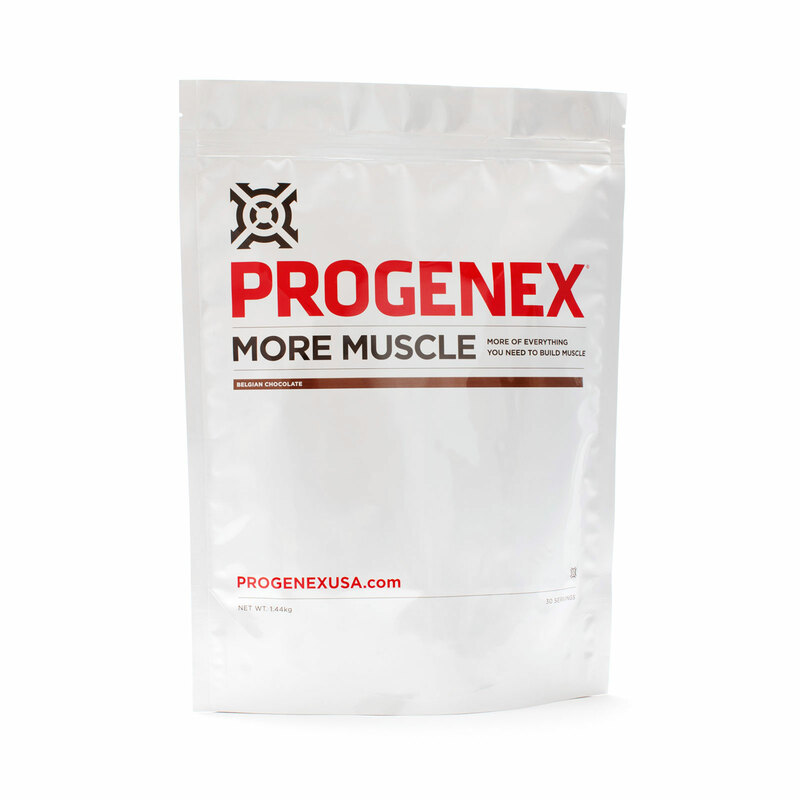 PROGENEX More Muscle will help you gain lean muscle mass and achieve your best body composition ever! Take More Muscle first thing in the morning and as a meal replacement and/or supplement throughout the day.